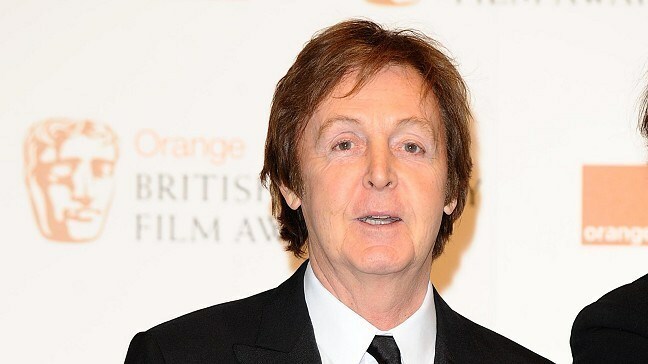 News - Macca: I love star-studded gigs! Macca: I love star-studded gigs! The Beatles legend revealed he used to get teased by his bandmates for getting starstruck at gigs - and he still enjoys spotting well-known faces in the crowd. He told The Sun: "I always like the celebs coming. I've always been a bit like that. "The Beatles used to say to me, 'You're a bit starstruck!' and I'd say, 'Come on! It's Prince Philip - he's a Royal!' I have an innocent excitement about it all." Sir Paul played at the Manchester's MEN Arena on Monday, where fans in the audience included footballer Wayne Rooney and wife Coleen. "I knew Wayne Rooney was coming. Rooney, he's not a bad player, my boy. And I hear he plays guitar," he said. "Don't tell him but I've got to get his autograph for one of my grandkids. There's always a bit of that for the grandkids."